Thank you all for your previous comments. They are very much appreciated. San Francisco's Palace of Fine Arts! What a treasure! 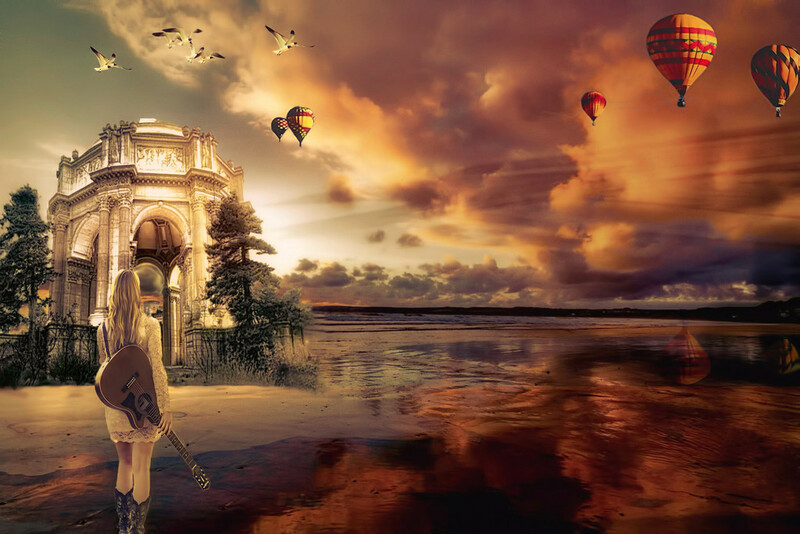 Magical composite which tells a story, fav! Such a fanciful composition! Love it! Right out of a dream! Beautiful work! Wow this is so creative..............love it! Awesome work on this one. Nicely created. A very effective image.